For all those worried about the impact the Snoopers Charter will have on their online privacy, there is another glimmer of hope. Because the European Court of Justice (ECJ), the EUs highest court, has ruled that the bulk harvesting of electronic communications data is illegal, and in doing so have essentially declared the law illegal before it even official makes it onto the statute books. The case in question was originally brought by Conservative MP David Davis (who withdrew his name when he was appointed Brexit Secretary) and the deputy leader of the Labour Party, Tom Watson, along with a whole raft of campaign groups including Liberty, the Law Society, the Open Rights Group and Privacy International. It related to a piece of 2014 legislation, the Data Retention and Investigatory Powers Act (DRIPA), which was the law used by the Government to justify their bulk data collections. In the High Court in London, Davis and Watson argued that DRIPA was illegal and won their case. The Government appealed and the appeal Judges in London referred it to the ECJ. The ECJ ruling fell firmly on the side of the privacy advocates. They concluded that the “general and indiscriminate retention” of electronic communications data is illegal and added that it is possible to use such data to draw “very precise conclusions” about the people it relates to. But as both Jim Killock and Martha Spurrier have alluded to, this ruling does not automatically kill off the Investigatory Powers Act. The ruling refers not to that new law, but the one it superseded, DRIPA. That detail gives the Government some breathing room. And this case is not yet done and dusted either. It will not go back to Court of Appeal in London for a final ruling to be made, and while it is unthinkable that they would go against the ECJ ruling, there is a little scope for how they interpret it into British law. It is clear that they will not be giving up without a fight in this case and will no doubt fight tooth and nail for the Investigatory Powers Act too. It seems impossible for the Government to keep the powers in place forever given the clarity of the ECJ ruling, but stalling might be sufficient for them. 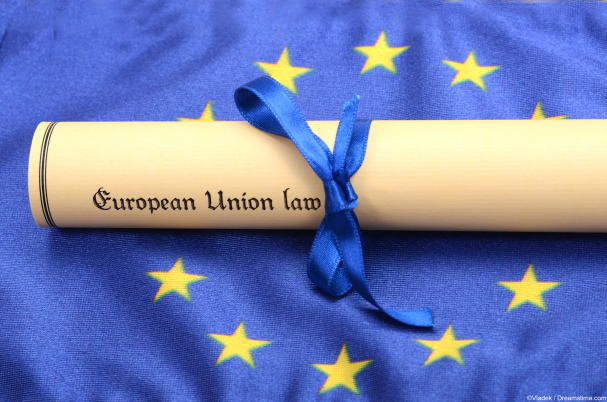 Legal challenges now seem inevitable, but with Brexit now in the offing, the authority of the ECJ over the UK is likely to end in the next couple of years. So, Brexit might be the Government’s best hope of retaining their intrusive and overbearing surveillance regime. The irony that Brexit is being spearheaded by none other than David Davis will not have been lost on many observers. For regular users, their long-term online privacy position in the UK is far from clear. But in the short-term, the Investigatory Powers Act will come into force at the end of this month, so if they want to protect their data from automatic logging by their ISPs, they need to be looking to sign up for a reputable VPN like IPVanish and ExpressVPN sooner rather than later. With Christmas just days away, a VPN subscription might just be the most valuable, yet cost-effective gift you could buy this year!